Students of the Month should be sent to the PLC room for their Pizza Lunch. The purpose is to help us continue to refine and improve how to pinpoint student needs, group them and how to with them. 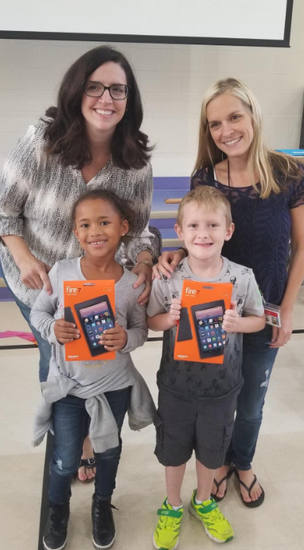 Congratulations to our K-1 Summer Reading Program Kindle Winners! 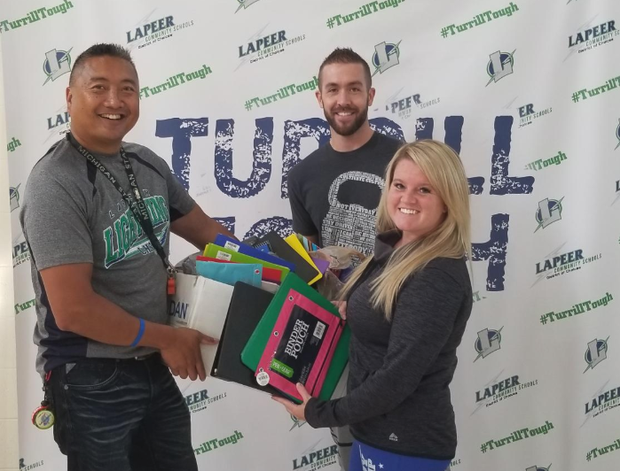 Thank you to Body Fit in Lapeer for their School Supply Donation!